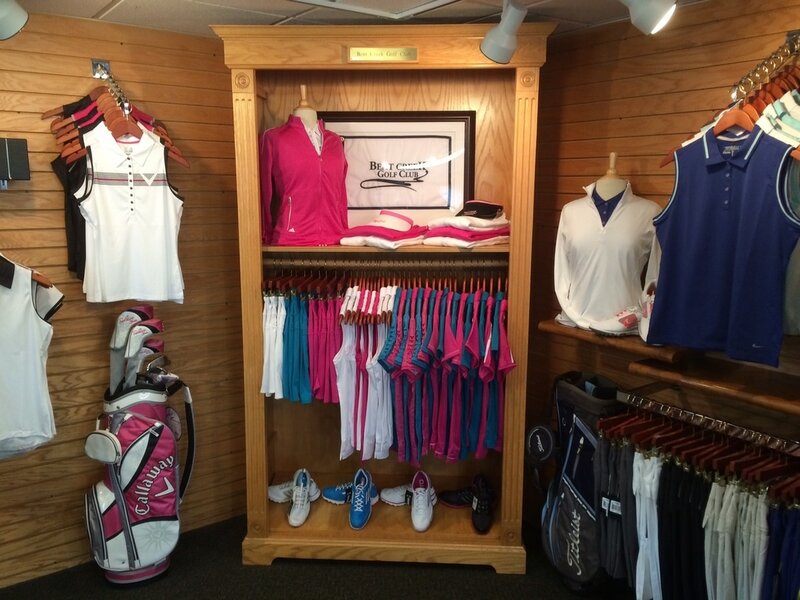 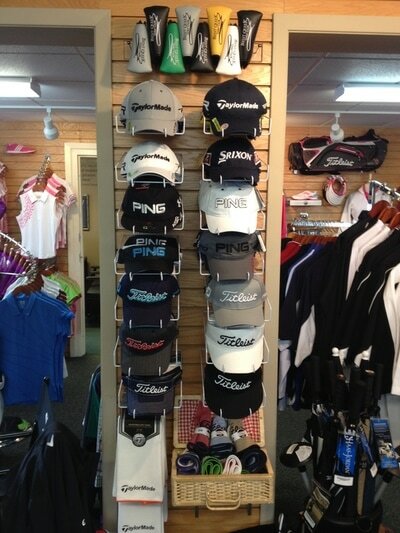 Our full-service Golf Shop features a wide array of the latest golf equipment and apparel for men and women. 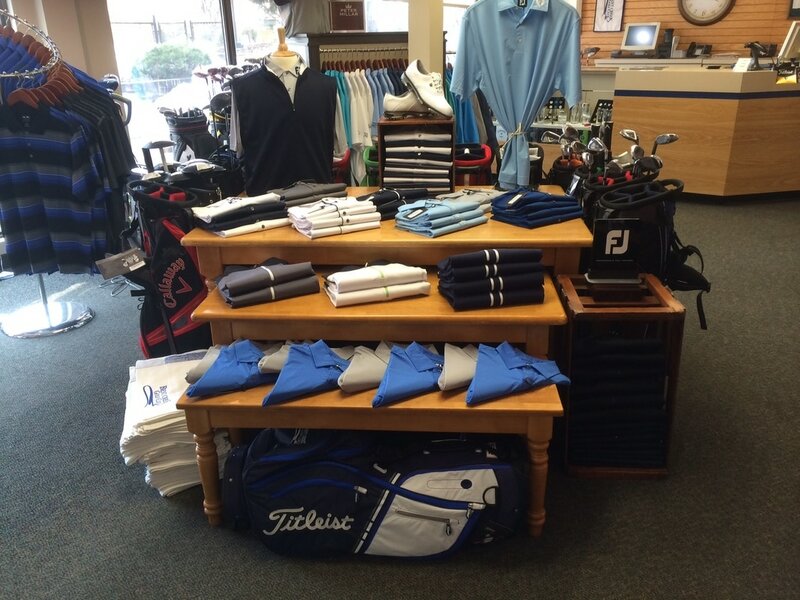 Our friendly and knowledgeable staff is always ready to answer your questions and assist you in selecting the right equipment and accessories to fit your game. We are proud to carry golf equipment from top manufacturers like TaylorMade, Titleist, Callaway, Ping, and Cleveland. 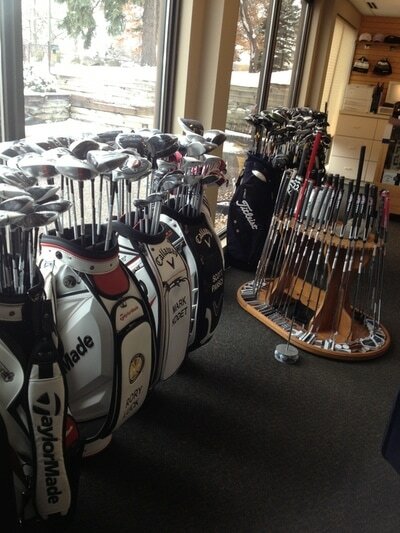 To help make sure that you get just the right equipment for your game, we have a staff of PGA Professionals on hand who can custom fit clubs to match your swing. To keep you looking great on the course, we offer the latest apparel lines from Adidas, Nike, FootJoy, Peter Millar, Tommy Bahama, Zero Restriction, Under Armour, RLX, Dunning, Fairway & Greene, Travis Mathew, Jamie Saddock, and JoFit. 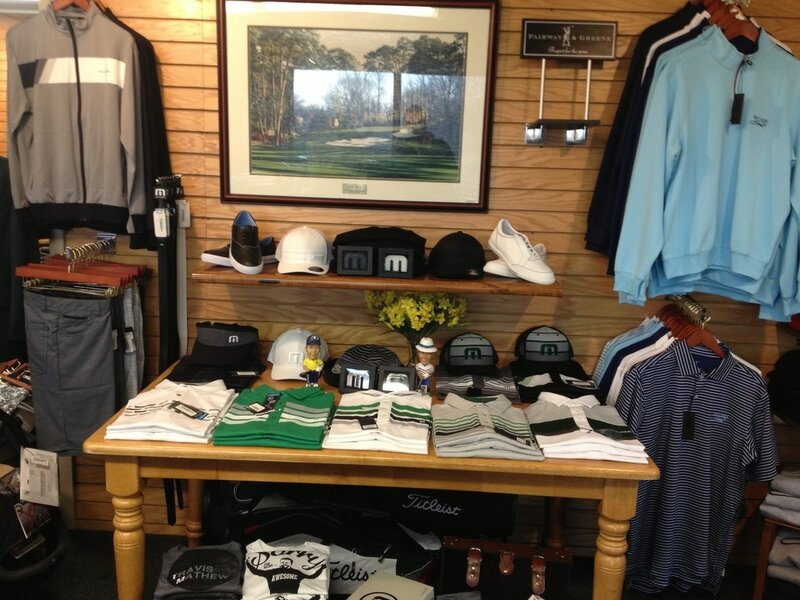 Of course, we are always happy to special order any items that we may not have in stock and for golfing members of Bent Creek, all of these lines are available at prices well below retail through our Mill River pricing program. 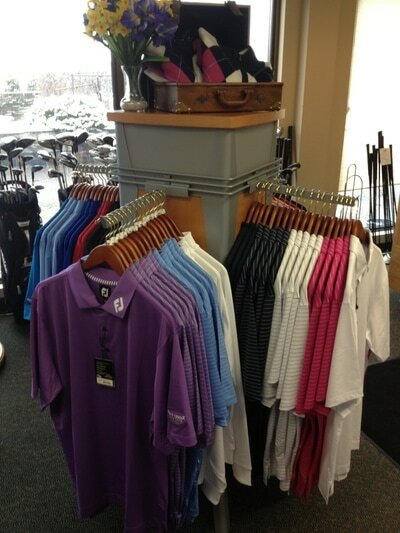 Golf Shop hours will vary depending on the time of the year. Typically, the Golf Shop will open 30 minutes prior to the first tee time of the day on weekdays and 1 hour prior to the first tee time on weekends. 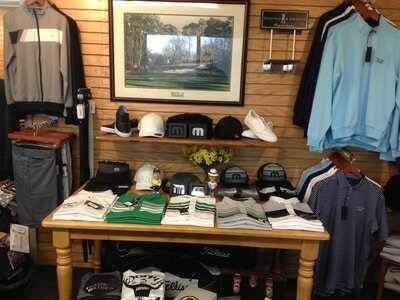 March: Weekdays 9:00am - 4:00pm, until course opens.